Marc E. Mann, MD established Whitney Internal Medicine in March 2001. He is Board Certified in Internal Medicine with over forty years’ experience. He received his M.D. from the John Hopkins University School of Medicine and completed his residency at the University of Washington. 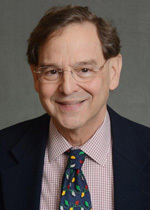 He has practiced in the New Haven area since 1983 and is Assistant Clinical Professor at Yale University. Living in Hamden, Dr. Mann and his wife Margaret are proud parents of two adult children. He volunteers his support to the non-profit, Music Haven, of which he is a founding board member. Dr. Mann enjoys playing the viola, swimming, travel and photography. Dr. Mann is not accepting new patients at this time.